Every time I travel to a new place I try to have a balance between ‘eating what we know is delicious’ or ‘eating local food for sake of it being local food’. Make no mistake, it does not mean local food isn’t tasty. But hunting local food can be a challenge primarily because it’s a pain to get the good stuff, but also because some of the flavours are unusual and we just never know whether we’re going to like something or not. Here is the result of my hunt for local food in Taipei City. It’s a mixture of food I found in the night markets and from local recommendations from research on the internet. Bottom line? 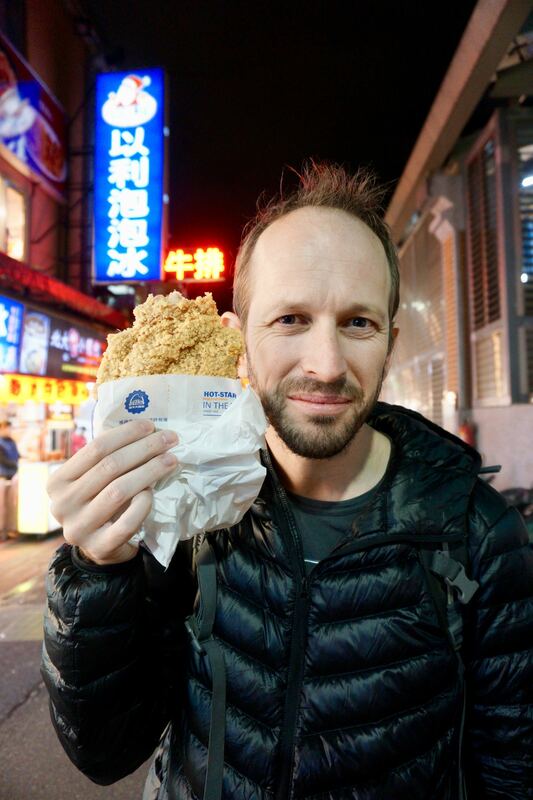 Food in Taipei is incredible and far beyond what I had anticipated. 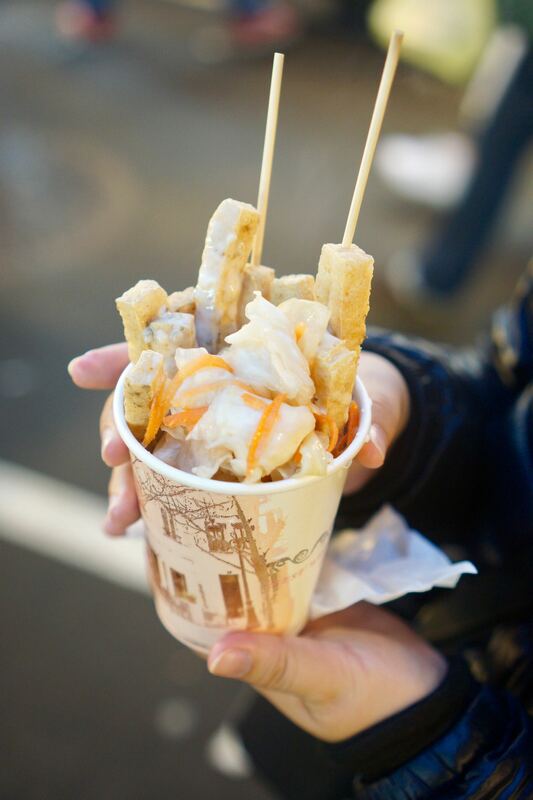 Stinky tofu seems to be the culinary icon of Taiwan and in Taipei it’s easy to find. 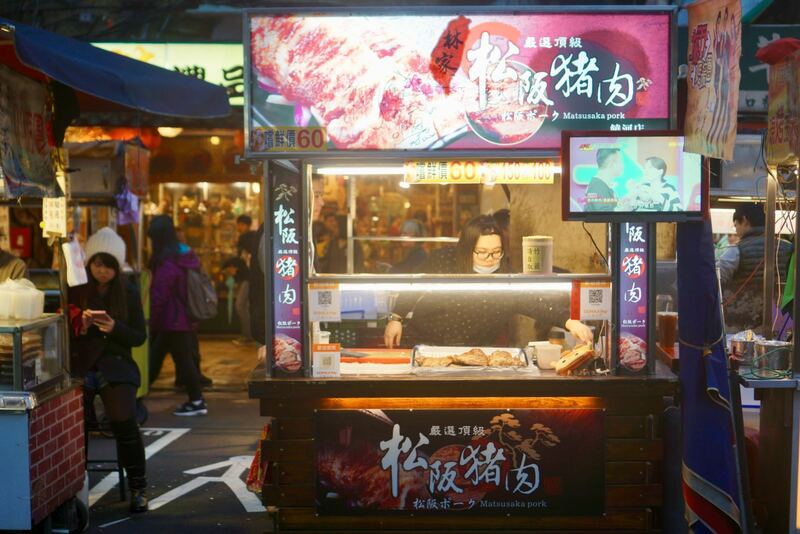 If you smell food, but the odour is nasty, you’ve found yourself a stinky tofu stand. It smells a bit fermented, but when you taste it, the fermented flavour doesn’t really come through. There’s also a sourness in the smell that you definitely get a hint of when you eat it. The original variety is square shaped with a sprinkle of pickled vegetables and watered-down chilli sauce. I decided to try the funky hipster version, shaped into long sticks and coming with a choice of cheese sauce, tartar, honey mustard, wasabi, etc. It’s certainly worth a try! I love scallions and it’s the scallion aspect of these delectable morsels that tempted me. If you’re not into scallions, it’s probably wise to stay away from these pancakes because it is chock full of them. The raw pancakes are shaped into large donuts and then lightly fried until golden brown. The skin of the pancake becomes a little crispy and the inside remains doughy and bread-like. 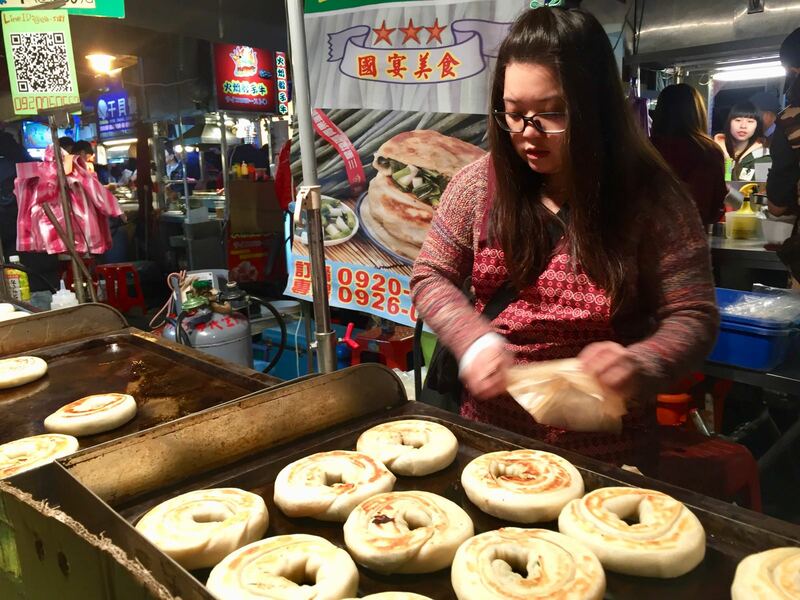 These scallion pancakes are a classic Taiwanese snack and are a must try when in Taipei. The Taiwanese call this stuff Frying Milk. 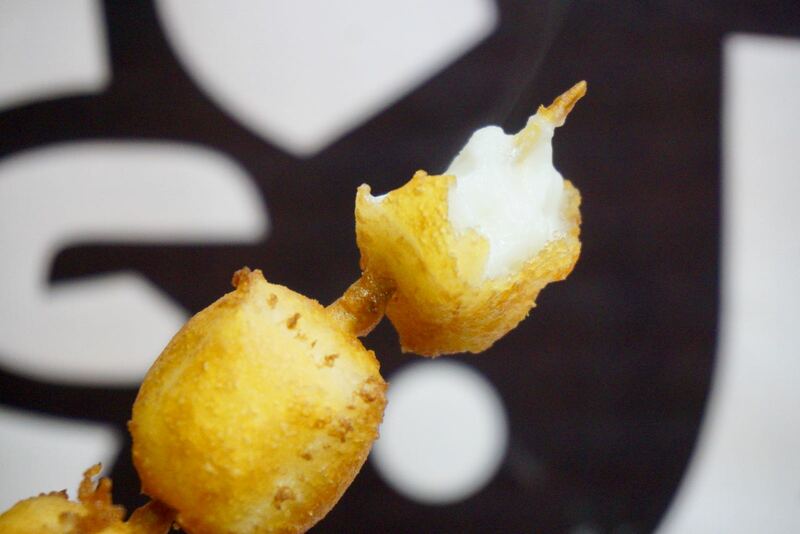 We assume they mean Fried Milk, because that’s exactly when this snack is. So how do you make Fried Milk? It appears from the stock they use that it’s simply milk with perhaps a setting agent such as gelatine which allows the milk to be cut. 3 pieces of the milk are then skewered and fried. 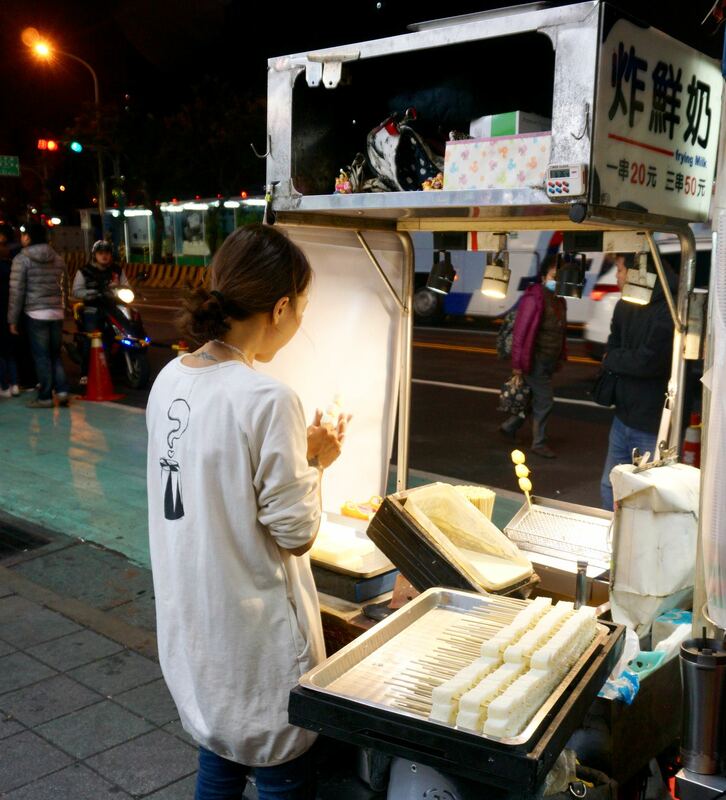 Sellers will usually grab a freshly fried milk stick and hand it to you while saying “careful hot”. And it bloody well is — I burnt my mouth immediately! The outside is crunchy, the inside gooey and the flavour predictably like milk. This isn’t a meal in itself, but it’s worth a try when passing through one of the markets. Your trip to Taiwan is not complete without drinking Pearl Milk Tea in the country that invented it. 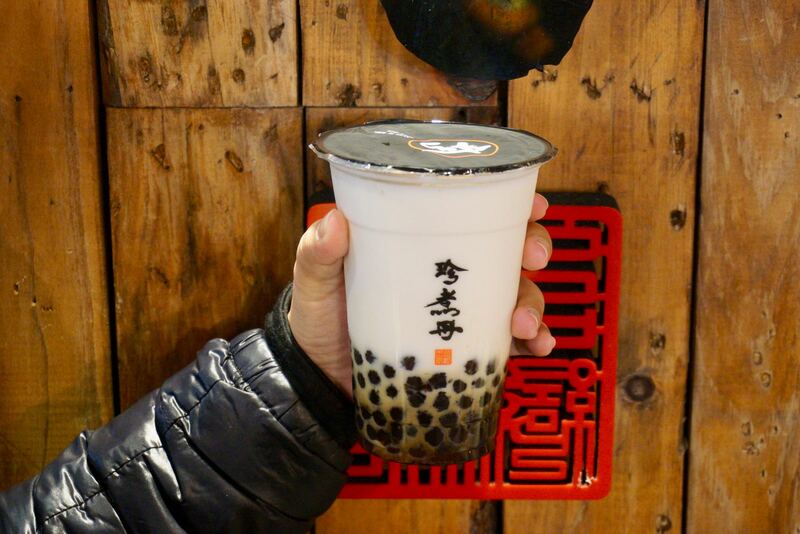 It is said that Pearl Milk Tea was first popularised by a particular store in Taichung in 1983 (which I visited and will write about shortly). Pearl Milk Tea is ubiquitous in Taiwan and you can’t walk more than a few hundred metres without seeing someone sell the delicious drink. In my opinion, the pearls in Taiwan are smaller in size and more soft than in the West so you’re jaw isn’t going to be aching from all the chewing. There are so many flavour options of milk tea in Taipei, but I like the original Brown Sugar Pearl Milk Tea. Simple and delicious. The first time I saw Hot Star Fried Chicken was at Shihlin Night Market and the queue was long. 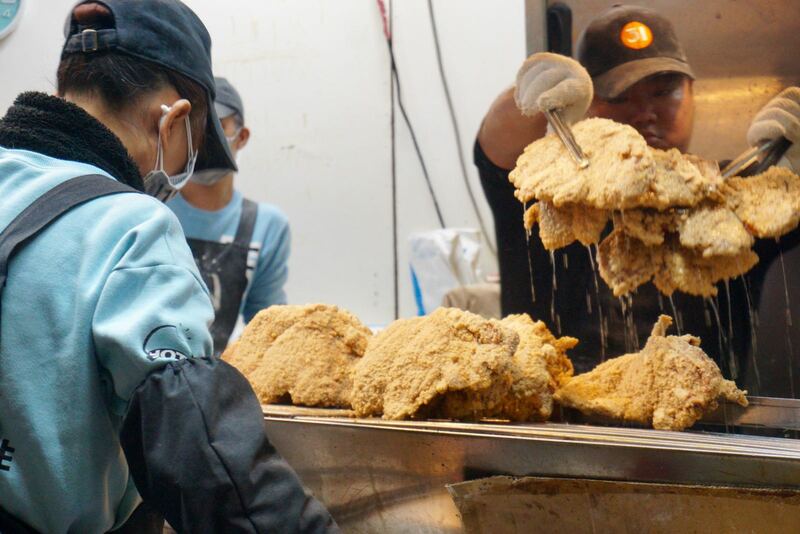 It is said that the original outlet is here and they just sell 1 type of food — large fried chicken. The shape and size of the boneless fillet is simply massive. The batter is actually quite thick — perhaps a little too thick. But it’s the flour which has all the flavour with a mix of herbs and spices which drive the whole flavour sensation. Before being given your hunk of fried chicken, you’ll be asked if you prefer spicy or not. Even if you choose the spicy option, it’s not too bad — just a little bit of a kick to turn the flavour up to the next notch. I also found Hot Star Fried Chicken again in the Ximending area, but in this outlet the food options were many. Not just large hunks of fried chicken, but also fried mushrooms, fried boneless chicken nuggets, fried scallops and squid balls, tempura, etc. 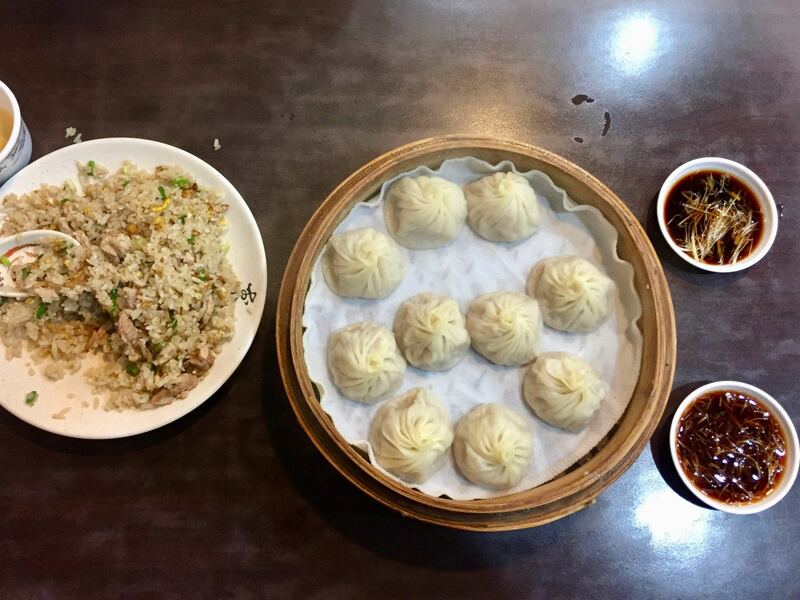 Din Tai Fung is perhaps the most famous Xiao Long Bao restaurant in the world and it has spread to so many countries that its name is now synonymous with these silky smooth soup dumplings. The original Din Tai Fung location is on Xinyi Road, Taipei City and the lines are always long. I decided to skip the lines and try the dumplings elsewhere as there are just so many different restaurants serving them. This place was just across the road from where I was staying and I have to say they were fantastic. Certainly not as refined as those from Din Tai Fung, but who wants refined when eating this sort of food anyway? If you’ve ever eaten pork in soy sauce in Asia or at Asian restaurant and liked it, you’re going to be a fan of Lu Rou Fan. Similar in flavour to pork soy sauce dishes you’ve had before, Lu Rou Fan is served as a hunk of pork belly and it is out of this world! 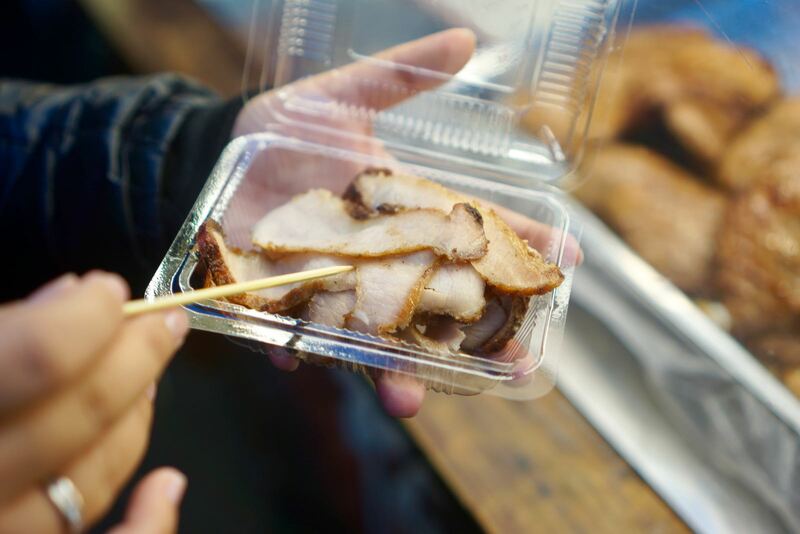 There are 2 options — the cheap which is small squares of pork and the expensive which is the thick pork belly, both covered in soy sauce. But prices are all relative and the expensive option is still cheap by international standards. Lu Rou Fan small portions are very cheap and quite filling, but I did spot a guy eating two portions of it — depends how hungry you are, I guess. I tried the Lu Rou Fan at Jing Fen Braised Pork Rice where the line is long, but the turnover very fast. I highly recommend it. 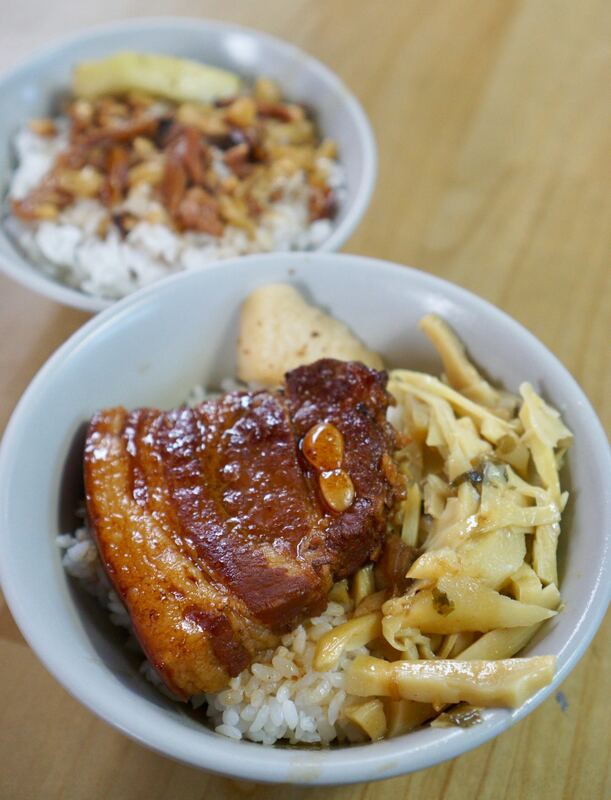 There are braised pork rice joints all over Taipei, so don’t be afraid to try other places as well. Price: NTD$30 for a small portion, NT$65 for rice with pork belly at Jing Fen Braised Pork Rice. This snack is actually really simple, but it looks quite tempting and that’s why I just had to try it. 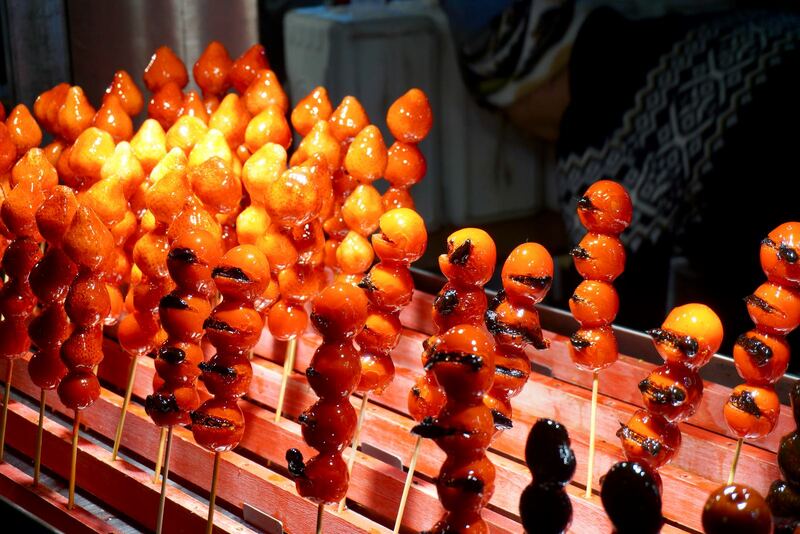 Similar to candy/toffee apples in Western countries, large pieces of fruit such as strawberries are skewered and then dipped into a sugar liquid. The liquid sugar hardens as it hits the cool air and creates a fantastic glossy coating on the fruit. I thought strawberries were a fantastic fruit to coat in sugar and I actually prefer them much more than I do a standard candy/toffee apple. In addition to strawberries, some vendors also coat cherry tomatoes, kiwi fruit, plums and sliced starfruit. 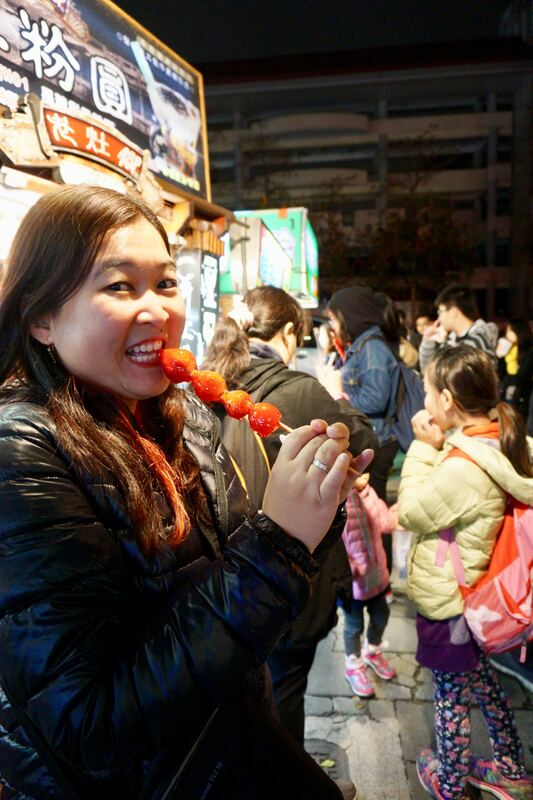 Price: NT$50 for 1 skewer with 3 strawberries and 1 tomato cherry. If you’ve ever been to Bandung in Indonesia, you’ll probably have tasted yamien which is similar to Fu Zhou noodle. 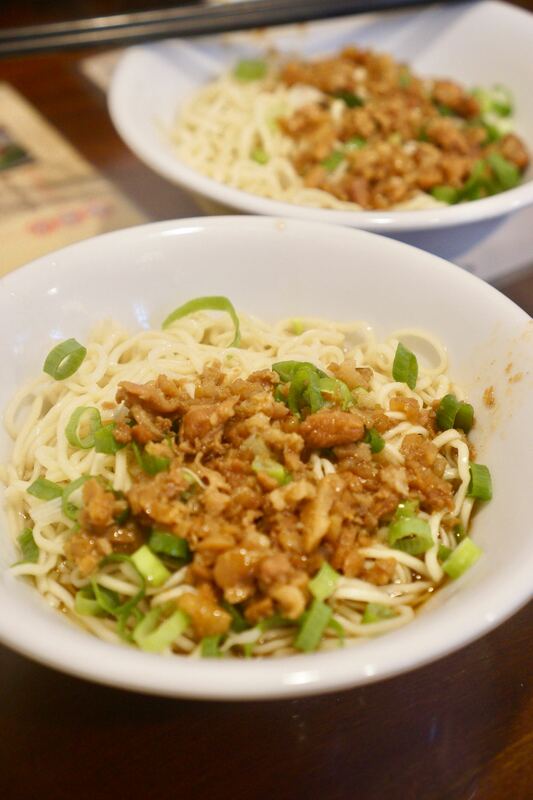 In essence, Fu Zhou noodle is boiled yellow noodle stirred with sesame oil and then sprinkled with fresh chives. It’s a simple but incredibly tasty dish. Interestingly, the Taiwanese called their dry noodles ‘yi mian’. I suppose that’s where the term yamien comes from. I ate the version topped with minced pork cooked in soy sauce and it was delicious. This really is referred to as Taiwanese breakfast and during my 2.5 weeks in Taiwan, I saw these shops everywhere. The food served is varied, but one common theme is soy milk! What’s interesting is that besides soy milk which is consumed sweet, there is a so-called salty soy milk! You don’t just drink salty soy milk, you also eat it. How so? 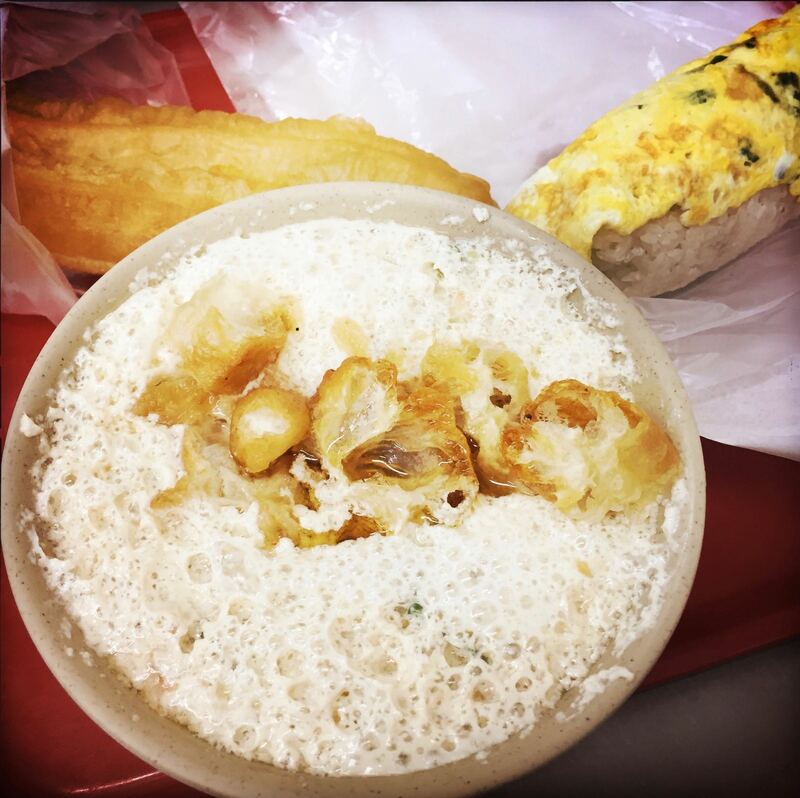 Well, plain soy milk is mixed with savoury ingredients such as green onions, fried onions, savoury donut slices and dried shrimps. The result is a salty porridge of sorts which is weird, but certainly worth a try. Clenched in the hand of the soy milk seller there is a secret ingredient which functions as a thickening agent for the soy milk. The milk separates into a clear liquid and clumps of more solid soy milk (tofu!). It tastes good and the texture is like eating fried tofu without the skin on the outside. 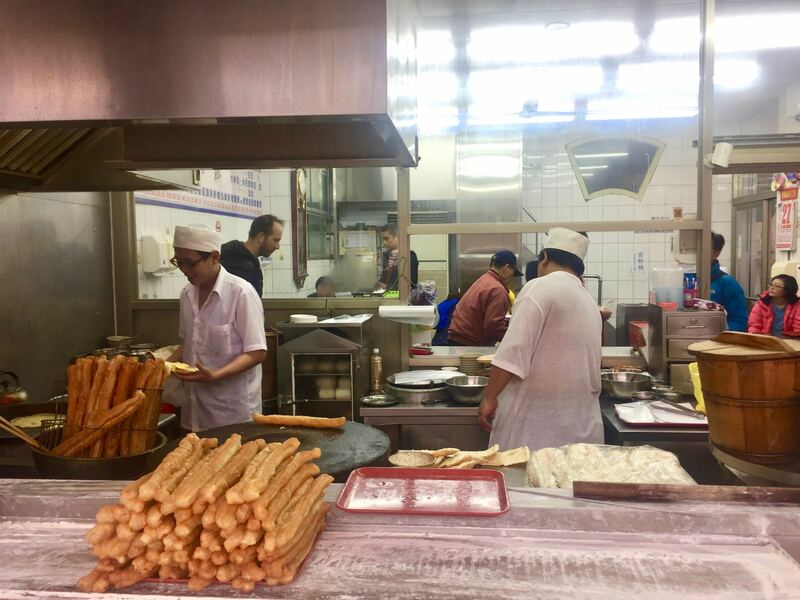 Aside from soy milk, these eateries almost always sell youtiao (chinese savoury donuts). 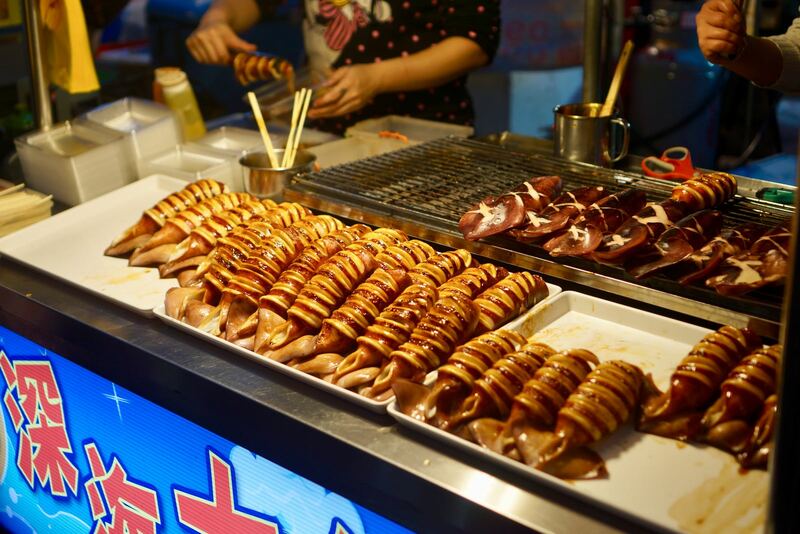 In addition you can sometimes find Chinese pancakes filled with omelet or pork chop. There are also varieties which are pork floss and pieces of youtiao wrapped in a layer of steamed rice which is then wrapped in an omelete. It’s freakin’ awesome. Each place has its own flagship menu. 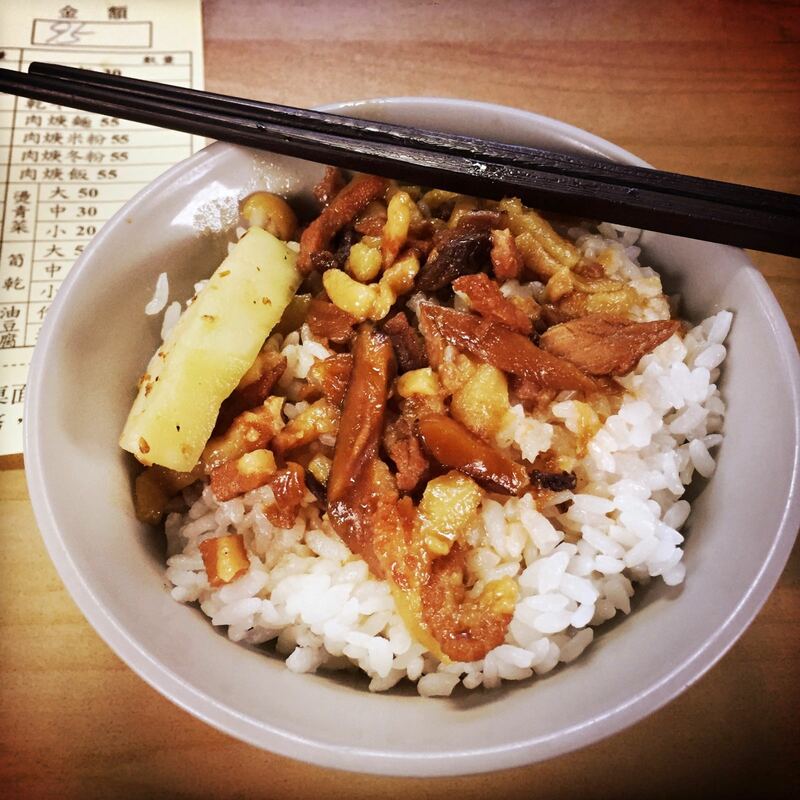 Popular breakfast spots in Taipei include Fu Hang Soy Milk and Yong He Soy Milk King. Price: up to NT$100 for breakfast for 2 people at Yong He Soy Milk. There are so many special stores selling desserts in a bowl containing anything ranging from taro balls, chewy sweets, tofu pudding, almond pudding, jelly, black jelly, red beans, etc. 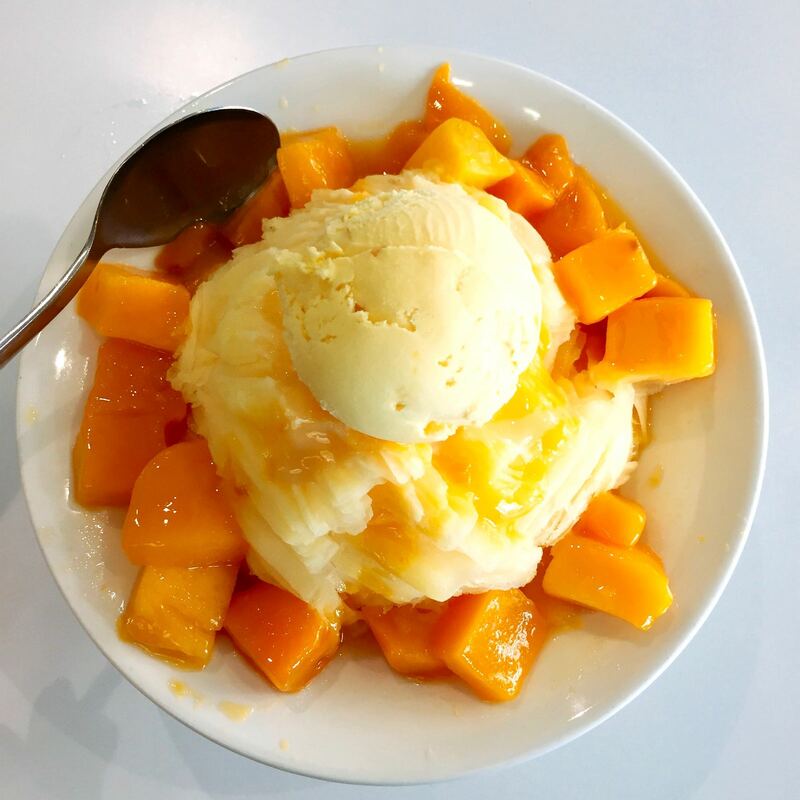 In the bowl you can expect to have shaved ice added as well as sugar syrup or some other sweet ingredient such as mango puree. I tried a version at Raohe Night Market and I wasn’t that impressed to be honest. The texture was so overly chewy and it wasn’t pleasant despite many locals seeming to enjoy themselves. The more modern style is that of Hong Tang which is available around the world. But if you can get it anywhere in the world, it’s not really special to have it in Taiwan. For me, these desserts are a work in progress! When you hear the word Matsusaka, your mind immediately drifts to the top beef in Japan such as Kobe and Hida. But apparently Matsusaka Pork doesn’t necessarily have to be from Japan. It is said that since the name Matsusaka ensures the meat is of high quality (having a certain ratio of meat and fat), many food businesses in Taiwan also use that name to ‘sell’ the product. Who knows whether it’s legal to do that. Probably not! I tried the grilled pork lightly sprayed with lemon juice. The texture is to die for, soft when chewed but still crunchy. The flavours also are not over the top because they don’t use a lot of spice or lemon spray — just a sprinkle to freshen things up and cut through the fatiness. Price: NT$100 for small portions, NT$150 large portion at Raohe Night Market. 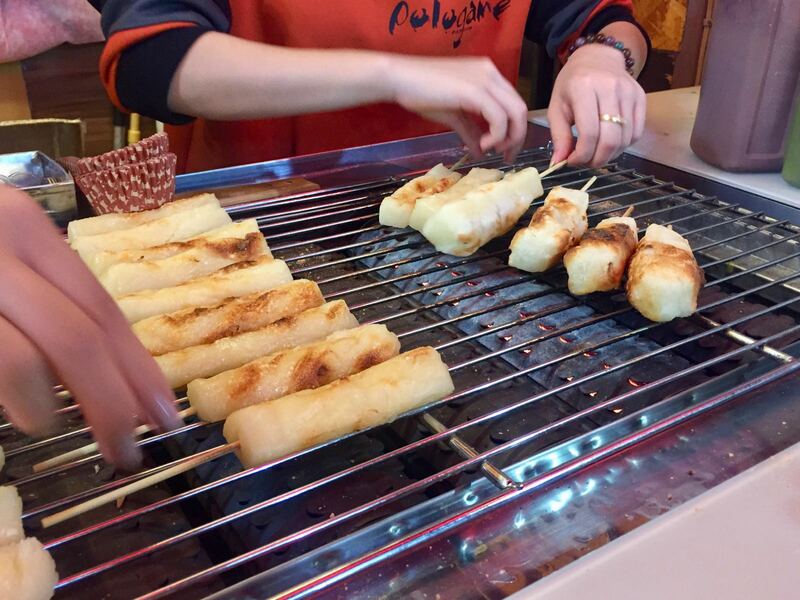 I found this grilled mochi while exploring foursquare in the Ximending area. Sounds interesting, mochi grilled then dressed with topping options which can be either sweet or salty. 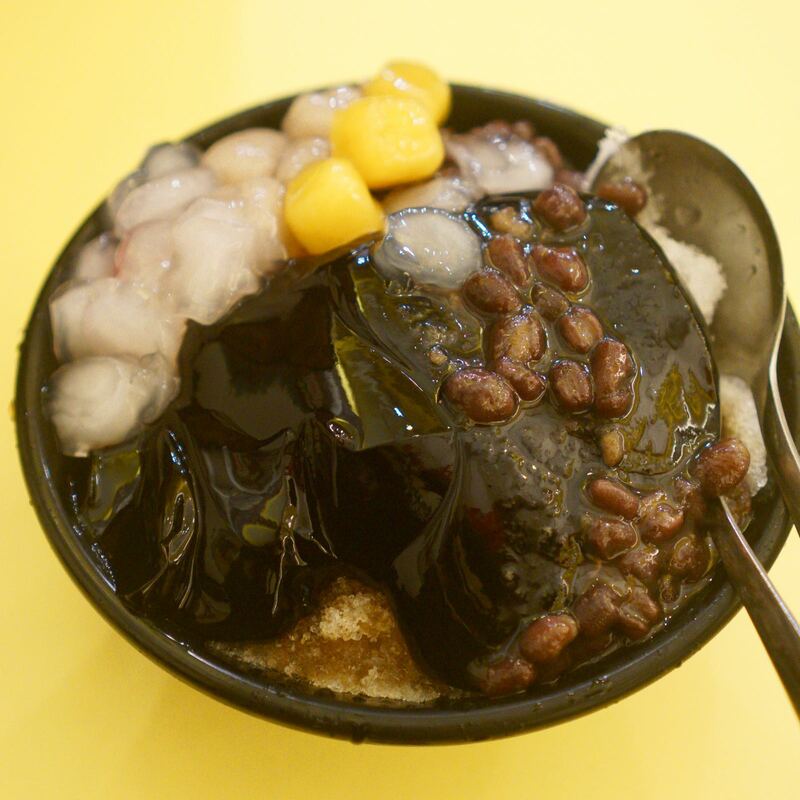 The sweet toppings are sweetened condensed milk, chocolate sauce, green tea sauce, cheese, nuts, black sesame. The salty choices are BBQ sauce, spicy Thai, Thai curry and Japanese soy sauce. The mochi which is shaped into a block is stabbed with a skewer. It’s then grilled like satay, flipped back and forth until it’s charred on the outside. The queue is sometimes long, but in my opinion the sauce was rather disappointing and not worth lining up for. 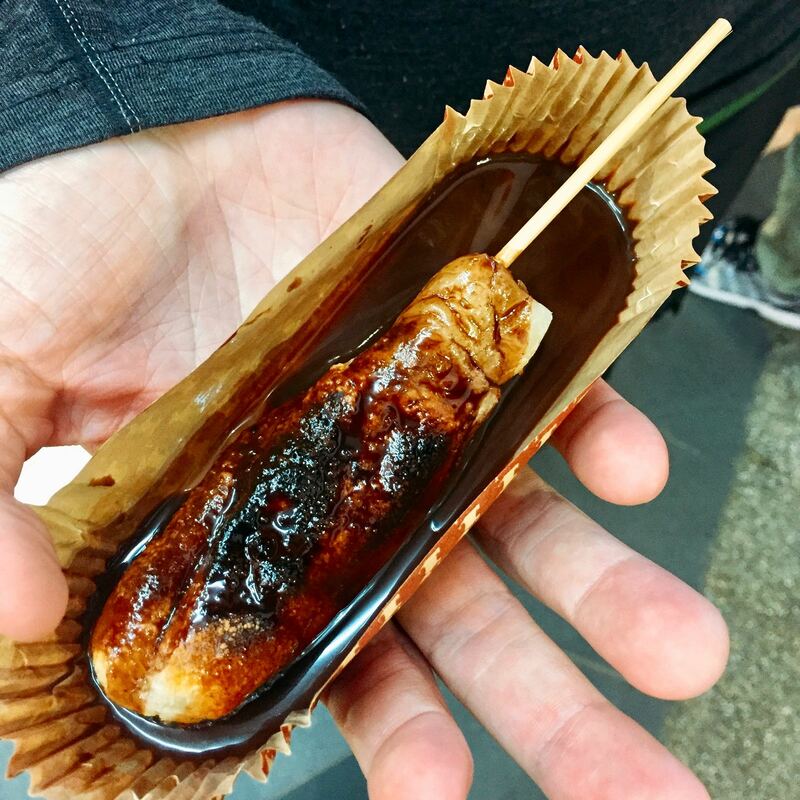 I chose the chocolate sauce and it was so so thin meaning the mochi was just like eating a block of plain sticky rice with hardly any flavouring. I’d like to try this again and see if I just got a bad batch because in theory, it should be delicious! Give it a try and let me know in the comments if I was just unlucky. Price: NT$35 in the night market in Ximending area. 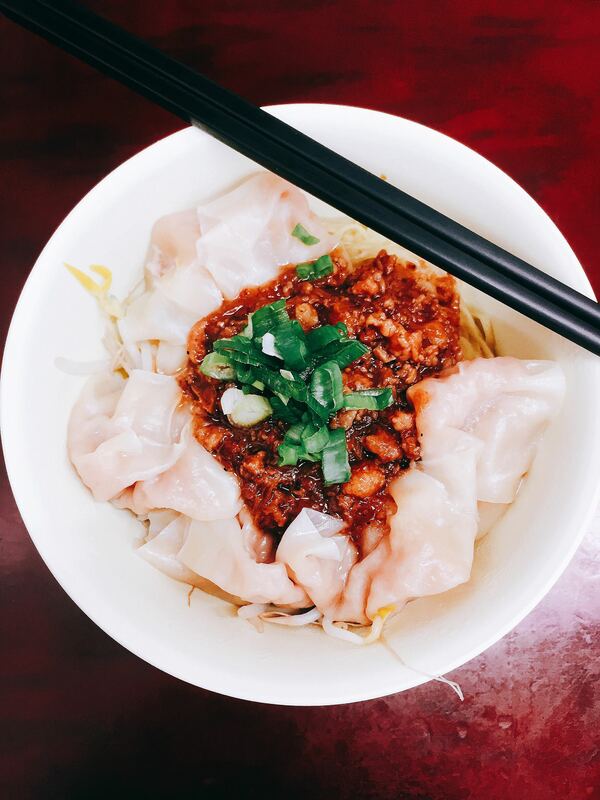 I tried every single one of these dishes myself, so you know this is not one of those random listicles that someone researched from their bedroom without actually visiting Taiwan! For most of these foods, there are many locations you can try, but I just mentioned the places I visited and the prices I paid. Different locations may be different prices. 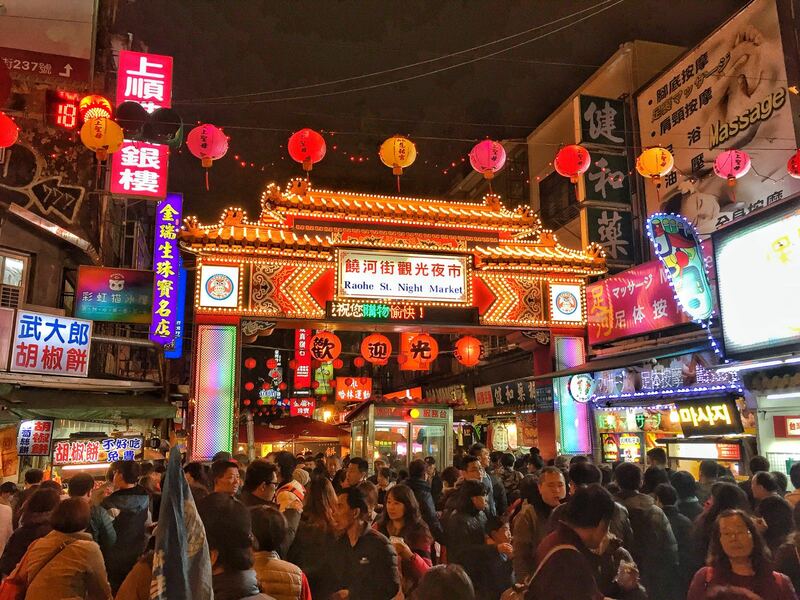 There are some other local foods that are notoriously popular in Taipei but I did not have time to try them for various reasons such as: other priorities to try first, sounds disgusting or simply that the line is too long. 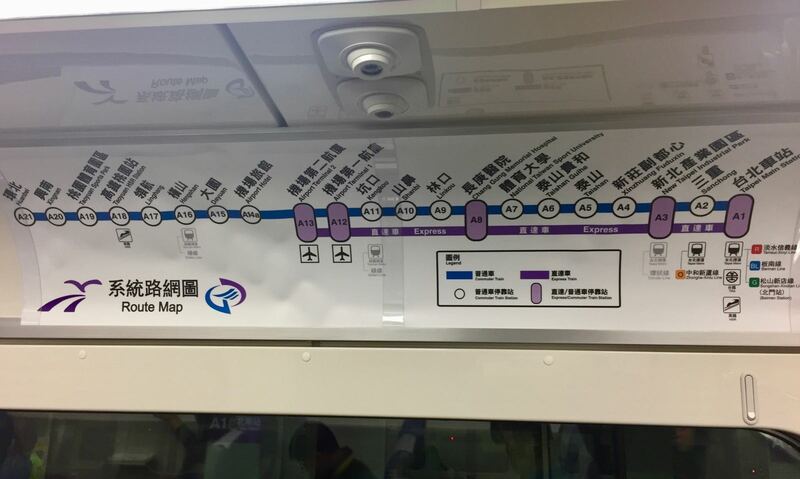 I actually stayed in two totally different areas of Taipei and I preferred Ximending. 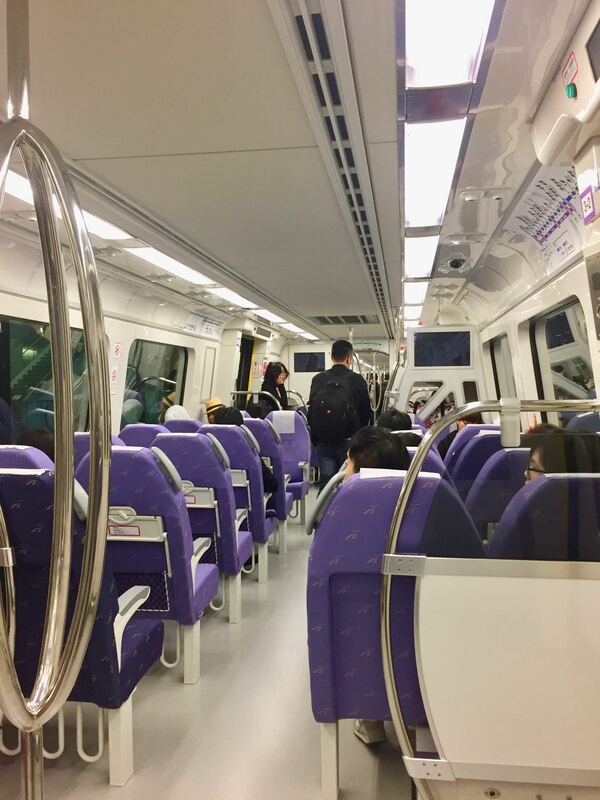 I stayed at Ximen Taipei DreamHouse and it was cheap, comfortable and most importantly conveniently located. I got a good deal for about US$38 per night. If you’re curious and have the chance, I recommend you also try: Beef Noodle, Ah Chung Rice Flour Noodle in Ximending, Beef Cubes and various grilled seafood. For those who want to know good cafes in Taipei, please read my post on all the cafes I tried in Taipei! “Taipei has one of the best cafe scenes in Asia”, was how a friend of mine put it when I asked him how good the cafes are in the Taiwanese capital. So when I arrived there, I dove straight into trying to unearth the best cafes in Taipei. And I reckon I found some really good ones. Check em out. What a fantastic place to come for a great coffee and little snack… perhaps even lunch. A good range of single origin coffees as well a house blend for the milky drinks. 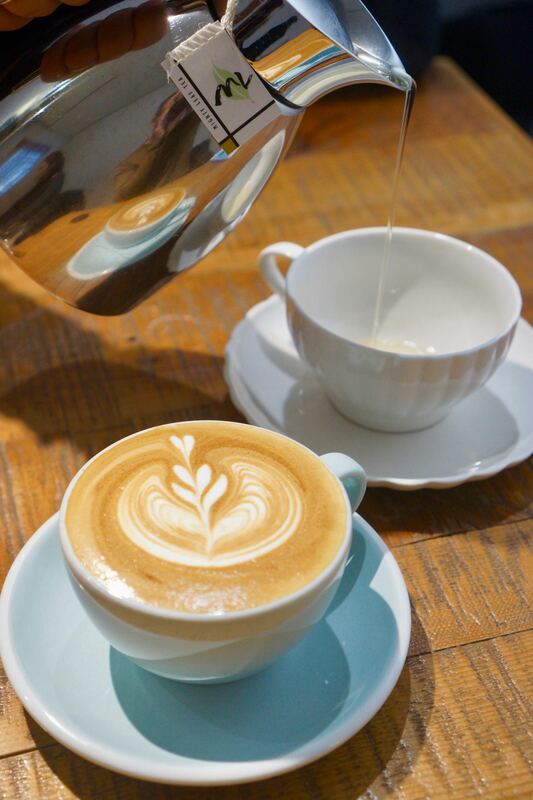 My cappuccino (NT$150) was one of my favourite in Taipei and I think it must be one of the best in Taipei. Silky smooth milk, great temperature and nice flavour. 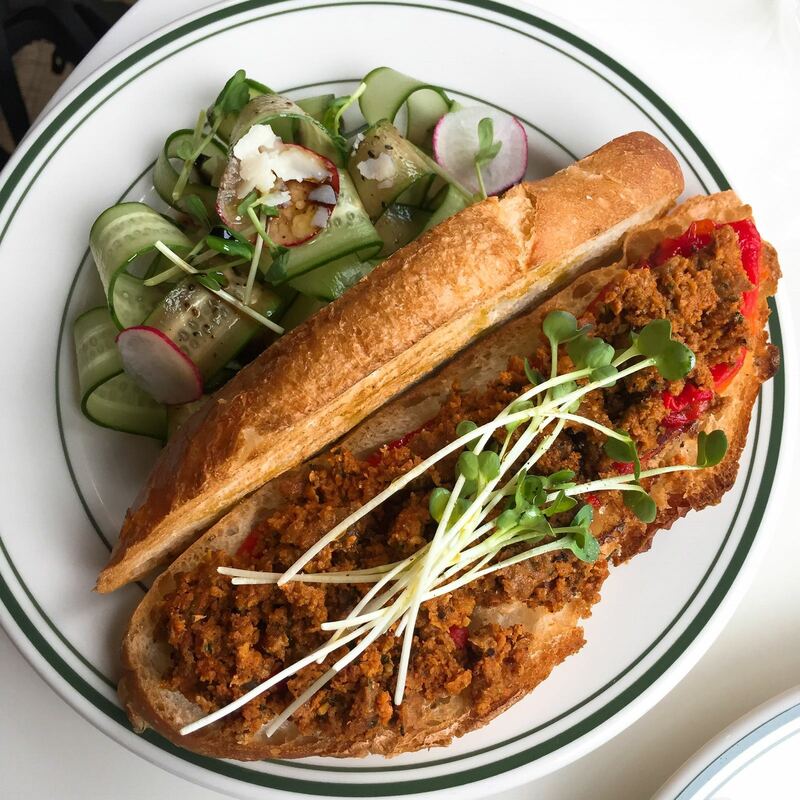 The toasted sandwiches come with a range of toppings and we got the grilled cheese with sautéed mushroom as well as the spicy sausage meat with roasted red pepper. Both were really good and worth the NT$180/190 price tag. 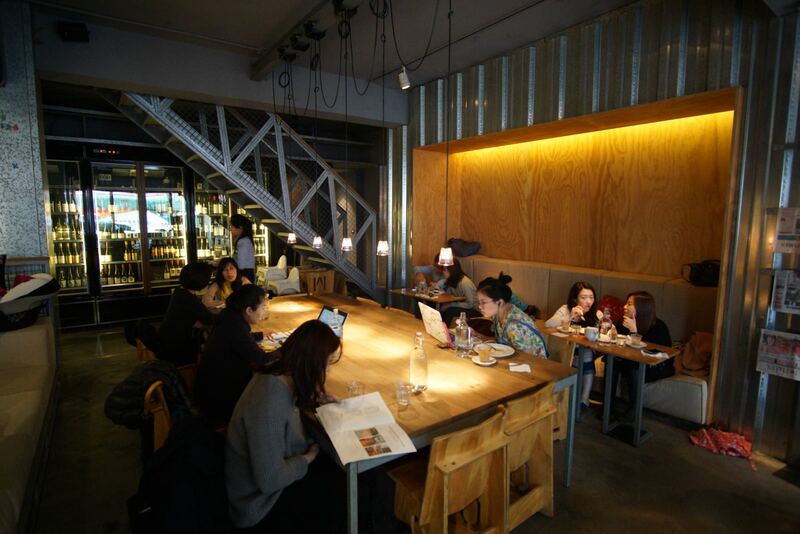 It’s a modern fitout with a couple of communal tables and a bunch of tiny tables for two. When I was there there were a bunch of people working on laptops, so the staff mustn’t care too much if people are taking up this space by working instead of eating. I love this place! Go here. I love this cafe. It has a really relaxed laid back vibe, with a few soft chairs, a few work benches and a longish bar for sipping your coffee at. 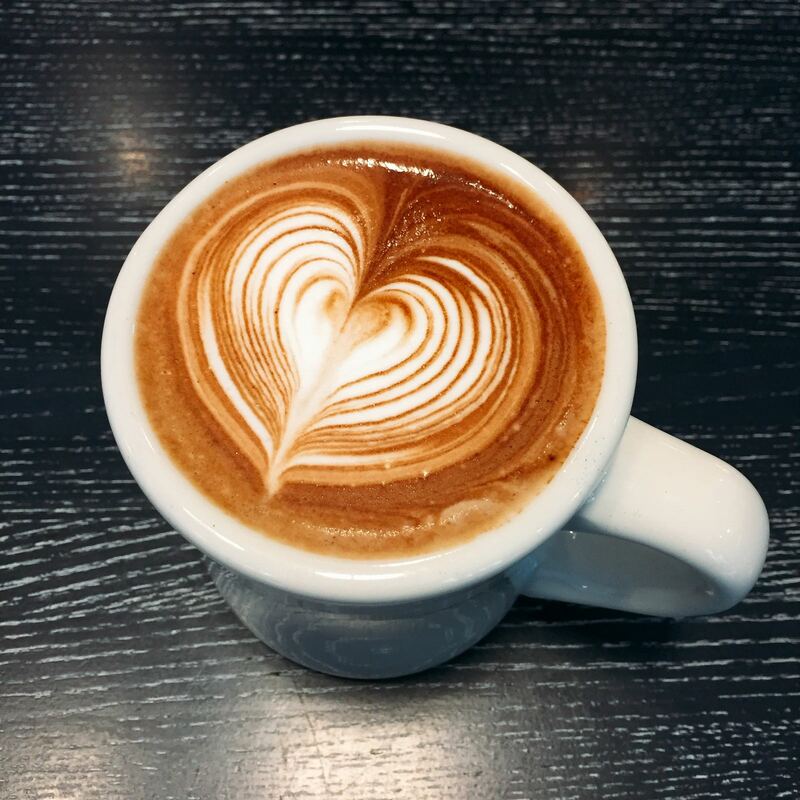 I tried a cappuccino (NT$140) and it was my favourite yet in Taipei. Pretty strong, smoothly textured milk and good temperature. Susan had a steamed milk green tea (NT$150) which she also enjoyed. They also serve food here, but to be honest none of it appealed to me. But I saw other people snacking on toasted sandwiches etc and they looked quite nice. 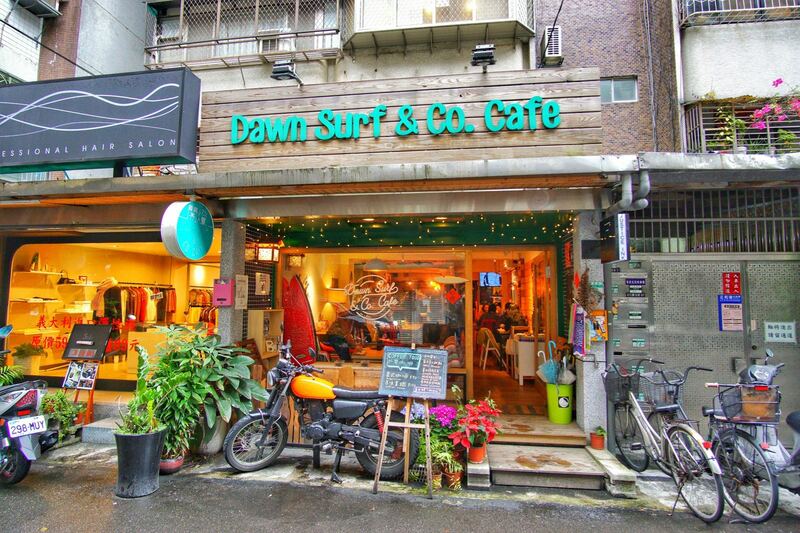 A top cafe in Taipei. When I arrived here in the pouring rain, I desperately wanted this tiny pastry shop in the suburbs to be worth the effort of coming here. And I was not disappointed. The English speaking cashier explained all the cakes and drinks and I ended up ordering a caramel cake of some sort and a strawberry and cream tart. For drinks we ordered a latte and a matcha milky drink. All up the price was NT$600 which is expensive, but I was OK with the price because what we ate was so good. The strawberry tart had a hard base that initially I hated. But the flavour was so good that I ended up actually liking that biscuity base a lot. A winning tart. The caramel cake was dense and again I initially didn’t like it. But the caramel was so perfect and chewy that I immediately changed my mind – I love this cake. 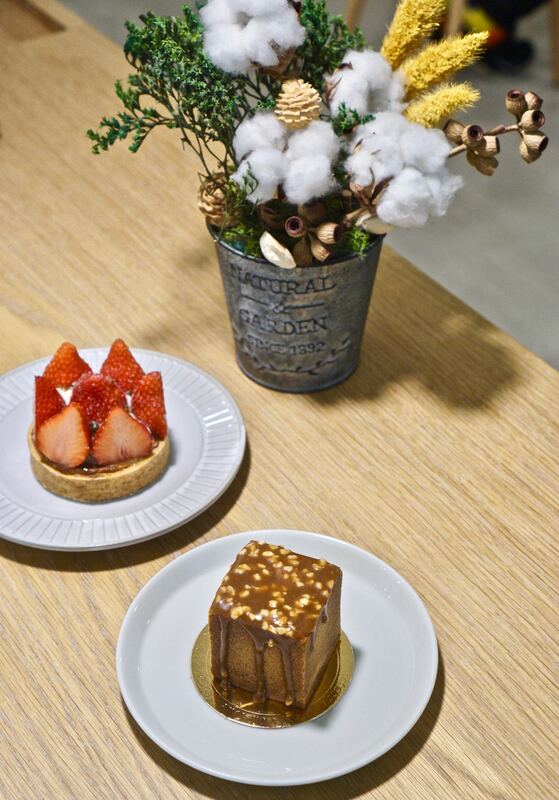 This is a fantastic little patisserie for coffee and cake. This coffee is shop is awesome and sells some of the best coffee from around the world including some COE beans. I tried a cappuccino (NT$140) and it was the best I’ve had in Taiwan so far. Susan had a pot of tea for NT$180 and it was also good. But so expensive! 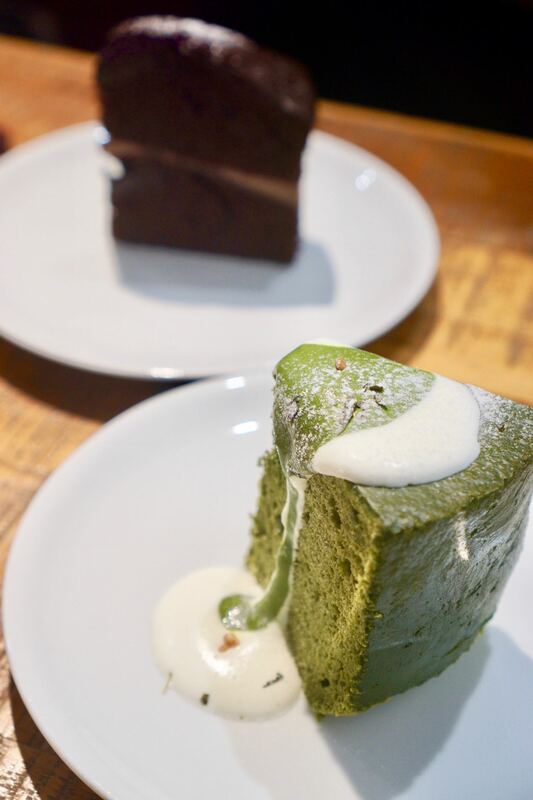 Moving onto the cakes, we grabbed a matcha cake and chocolate cake which came to NT$280 together so I’m assuming NT$140 each. Both were excellent and worth trekking out here to get. Wifi here is fast and tables are perfect for setting up a laptop and getting a bit of work done. This place is definitely worth a visit. 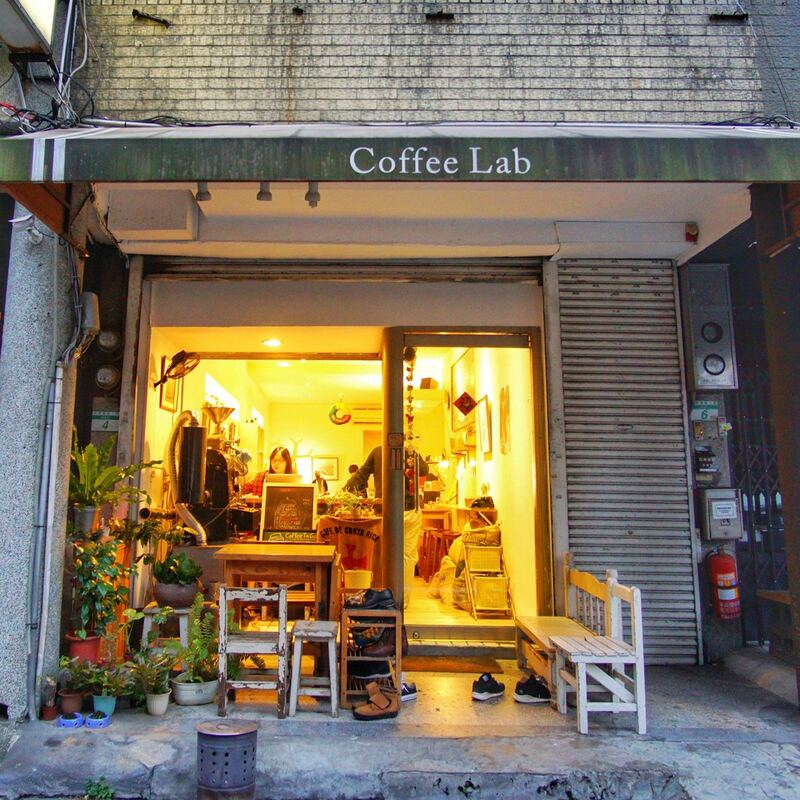 Coffee Lab is a cute and cozy coffee shop in a laneway just across from the creative park. I had high hopes for this place because of all the different sorts of single origin coffees on offer. But the cappuccino I had was not really up to international standard. It was certainly not as good as many I would get in Indonesia and miles off what I get in good Australian coffee shops. It also took about 20 minutes for them to prepare my coffee. That’s not to say the coffee was bad! It was good. Just not as good as I had expected. But they do have a big cat who is fun to play with and Susan’s Honey Lemon drink was nice. Both drinks came to NT$285. Worth a visit if you’re at the nearby creative park. This cafe named after an inner-Sydney suburb immediately caught my attention with its catchy name. 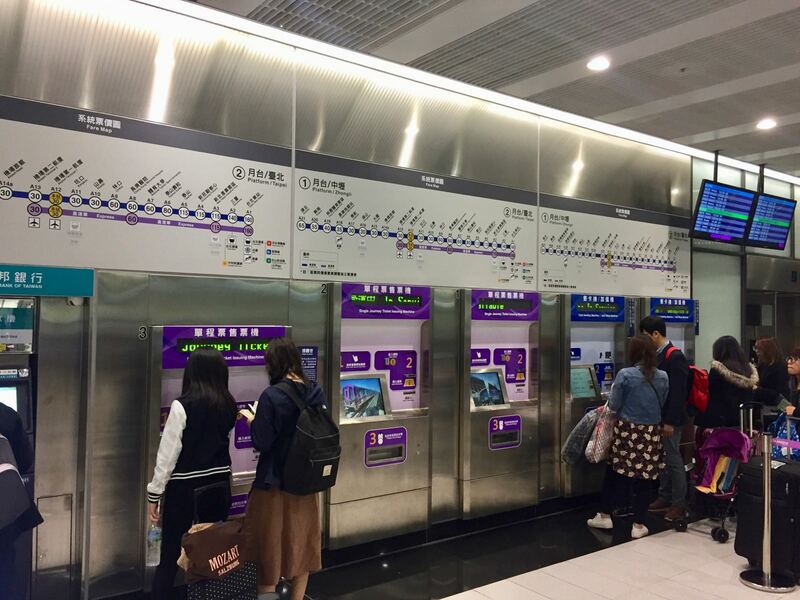 I tried the Xinyi branch and arrived during peak hour – it’s incredibly popular! Standard Aussie style breakfasts such as sandwiches, sausage rolls and big brekkies. 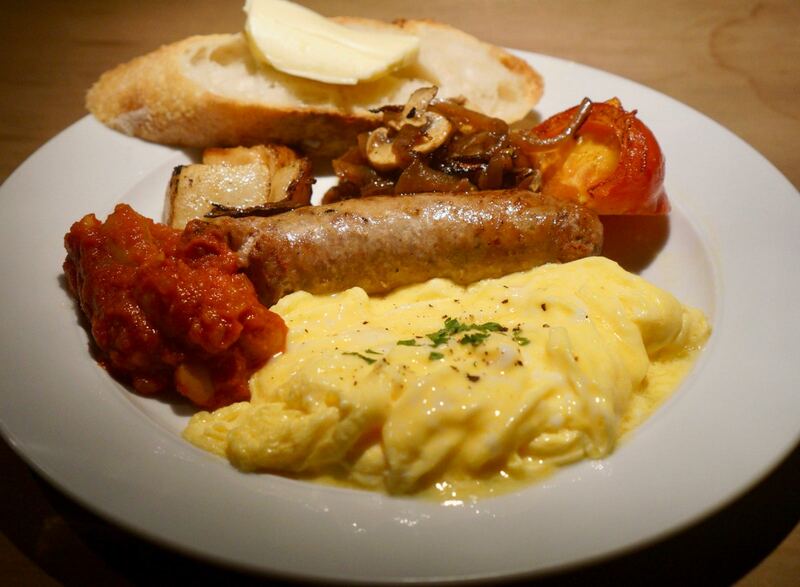 We tried the big brekky (NT$320), cappuccino (NT$130) and mocha (NT$150) and were impressed by the mocha, but the cappuccino was weak and served in a Latte glass – a poor cappuccino. All prices had an additional 10% tax added at the end. Secondly, the big brekky was a disappointment. Unsalted scrambled eggs, hard roasted tomatoes, but tasty baked beans. It really needs to better than this. The prices here are sky high and among the highest we’ve experienced anywhere, particularly for the coffee. Also, the menu is a little old-fashioned compared to what we might find in Australia or even Bangkok when looking at the very latest cafes. Still, a decent choice with reasonable food and a good vibe. They accept credit card and have wifi. So there you have it. 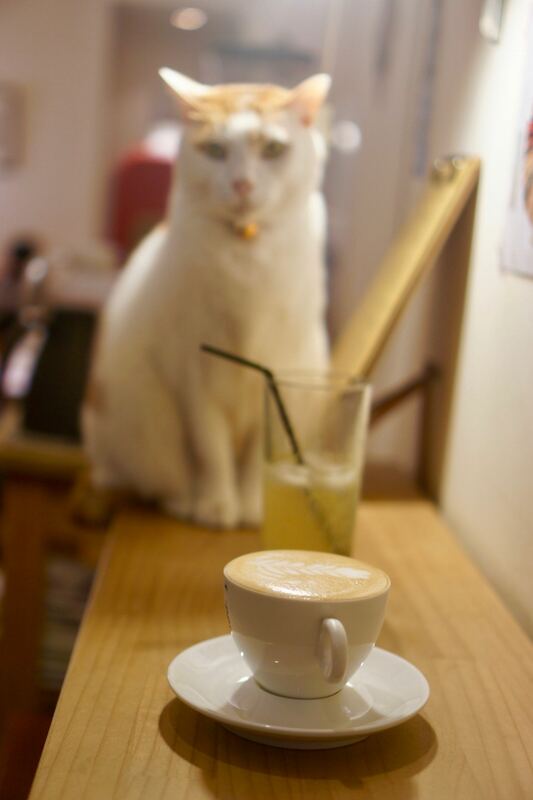 My recommendations for some fantastic cafes in Taipei. I did try a few other cafes, but I didn’t think they were worth mentioning here because they weren’t up to scratch. 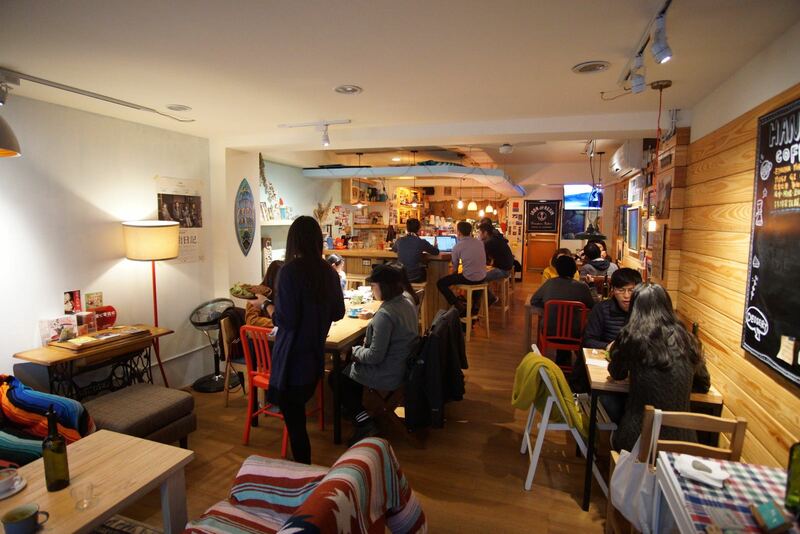 Taipei really is a great city for cafe hopping. 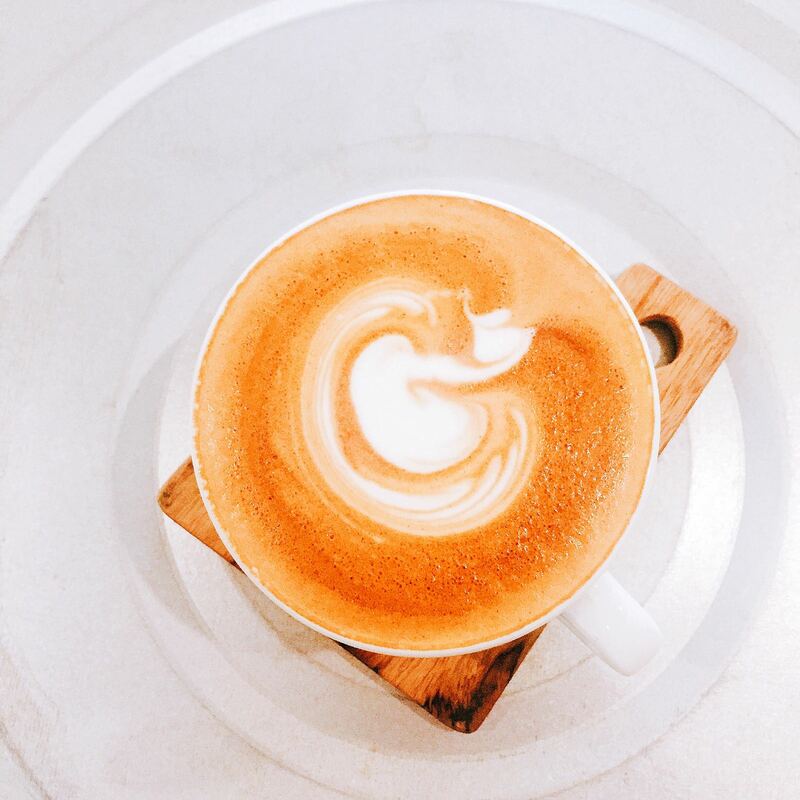 Let us know in the comments which your favourite cafes in Taipei are!